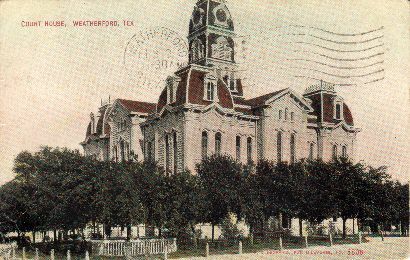 Parker County courthouse, Weatherford Texas. 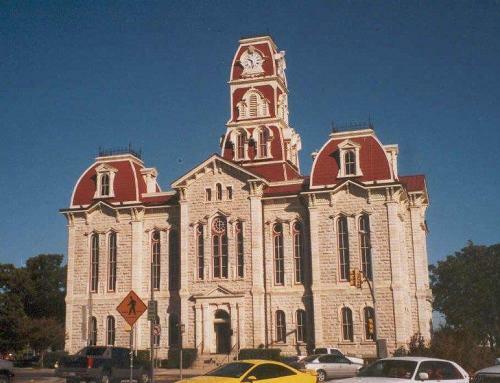 The Parker County Courthouse closely resembles the ones in Coryell, Denton, Hill, Hood and Lampassas counties. All were works of W. C. Dodson. 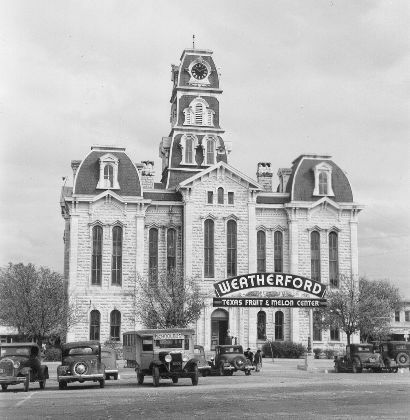 Weatherford complies with the state�s legal request that county seats be located �within� five miles of the county�s geographic center by putting the courthouse on the exact center and even celebrating the spot with a decorative floor. Scene of many noted trials. 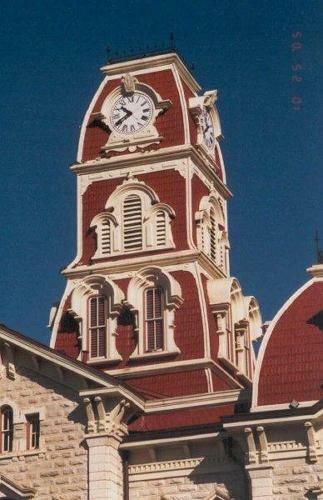 Built 1884-86. Cost $55,555.55. 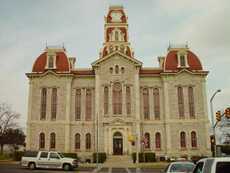 Fourth courthouse in history of county, organized 1856. An oak on Fort Belknap Road was court site that year. In this building practiced S.W.T. Lanham, who was Governor of Texas 1902-1906. Recorded Texas Historic Landmark, 1965. 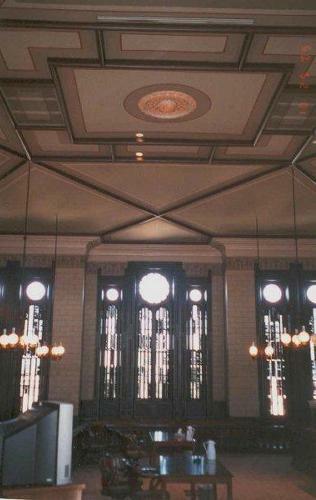 Courtroom's windows and decorative ceiling. 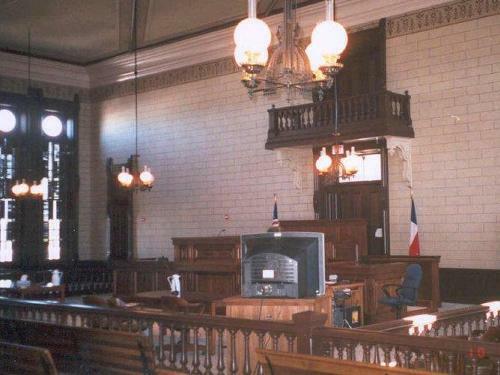 The centrally located, two-story district courtroom. The compact, upper balcony over the judge's bench is repeated over the rear doors to the courtroom.